Sparta is one of the few oldest manufacturers in Lithuania, which has specialized in producing socks with the best price and quality ratio for more than 100 years. 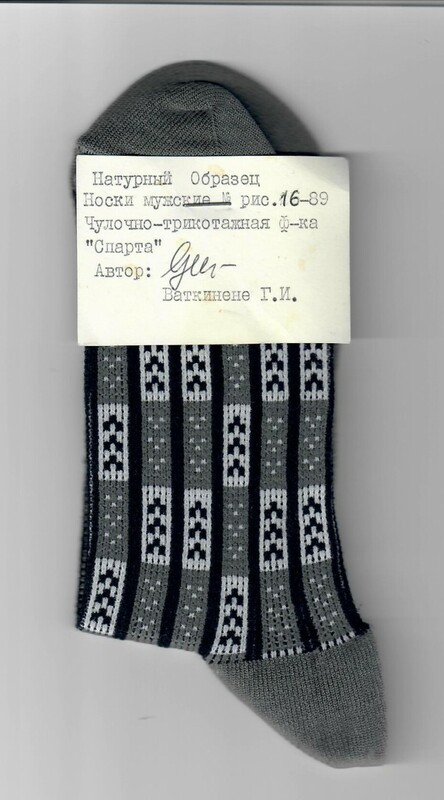 In the middle of 1918 a private sock workshop called “Vilniaus karūna“ was opened. At that time it was working with manual knitting machines and all work was performed by 11 women and teenagers. At the beginning of the occupation of Lithuania, private factories and workshops including „Vilniaus karūna“ were nationalized. However, in 1945 the company was connected with a knitwear factory “Avangardas” and renamed “Sparta”. The name came from a Lithuanian a noun, which means speed, pace and productivity. In 1945 Sparta produced 71,000 pairs of socks and 101,000 pieces of knitwear. The factory was growing fast. In 1955 a new paint shop was built and the production area increased to 6100 sq m. In 1963 Sparta produced 10 million pairs of socks. Two years later an entirely new production facility was built, which produced 20 million pairs socks per year. Zenonas Janavičius (the current CEO) started working in Sparta in 1968. In 1989 sock factory produced 31.76 million pairs of socks. At that time the factory employed about 2,000 people. In 1990 sock production volume remained similar: over 31 million pairs of socks a year. In 1991, after the declaration of independence of Lithuania, privatization of state enterprises began. A supervisory board and a CEO were selected in each company. Sparta has been led by Zenonas Janavičius since then. The company bought new equipment, found new partners in Denmark and Sweden. 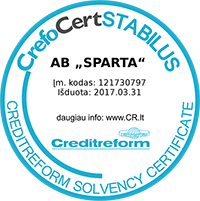 Sparta improved its technology, computerized manufacturing processes, started to knit socks using Czech, Italian, Japanese equipment. In 1996 the company became the sponsor of the Olympic team and knitted tracksuits for the whole team. In 1998 the company reduced the level of export to Russia and increased its export to the Western countries. In 2013 Sparta updated its logo. In 2015 it produced 3.4 million pairs of socks: 55% of which were exported and 1.6 million pairs of socks were sold in Lithuania. The knit shop has made 139,000 pieces of knitwear. Currently Sparta employs 161 people. The company covers a total area of ​​about 18,000 square meters, of which production facility takes up about 11,000 sq m.